GALLIPOLIS — The 2018 River Recreation Festival will hold its pageants Monday at 6 p.m., as part of a long tradition across Gallia’s Independence Day celebrations. Adrianna Powell is the daughter of Jeremy and Deanna Powell and is a Senior at River Valley High School. Her school activities include serving as Vice President of Leo Club, Secretary of National Honor Society, an Art Club Council Member, and being a member of Beta Club, French Club, Student Council, and Prom Committee. She is also a participant in the Mock Trial Competition where she was an attorney, a nominee for Regional Scholars and has been a History Day Participant and member of the TAG (talented and gifted program). 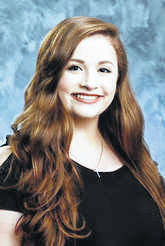 Adrianna plans to continue taking dual credit classes and AP classes at River Valley High School during her senior year and graduate with honors. 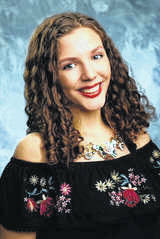 After high school she plans to attend The University of Rio Grande and study Diagnostic Medical Sonography. Nickole Alexis Beaver is the daughter of Loren Jr. and Cindy Beaver of Crown City. Nickole is a senior at South Gallia High School, where she is the National Beta Club vice president, Leo Lions’ Club treasurer, varsity cheerleading squad co-captain, class attendant, and attended the Jostens’ Leadership Conference. She is a member of National Honor Society, scholar athlete, FCCLA, float committee, Rio’s Phi Theta Kappa Honor Society, and prom committee. Nickole volunteers her time to help with the South Gallia Pennies for Patients drive, youth cheer camps, toasty toes, Leo’s gift wrapping project, taking to the streets, can food drive, American Red Cross Blood Drive, Hannan Trace LEADS, snack pack, Southwestern Fall Carnival, and Gallipolis in Lights Glow Run. In the community, she is an active member in the Mount Zion Youth Group, helps with the community Thanksgiving dinner, and numerous community parades. Nickole plans to further her education by attending Shawnee State University majoring in Occupational Therapy. Kiesla Kormanik, supported by my parents Bob and Maureen Kormanik. She attends Gallia Academy High School as a junior. Kiesla has recently been inducted into the Honor Society. She also sings with the Gallia Academy madrigal show choir and is involved in cheerleading and track. She is in the 4H K-9 club and won first place award at the Gallia County Jr Fair. She likes to play board games in her spare time. 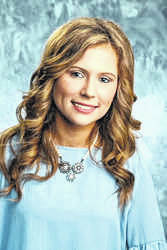 Ashley Morris is the daughter of Jim and Angel Morris of Vinton. Ashley attends River Valley High School where she is a senior and is a member of the Beta Club. She has also been a cheerleader and participated in track and field. Ashley volunteers her time at the Bob Evans Farm Festival, Christmas family donations, can food drives, helping at the Gallipolis Hoop project and has volunteered in Right to Read week at Vinton Elementary. In the community, she helps with youth cheer camps, Senior night activities, Copacabana where she has helped by being a server and acted in the dinner show, and she is on the Gallipolis Junior Bowling League. Ashley plans to attend Rio Grande University majoring in Radiology Technician. 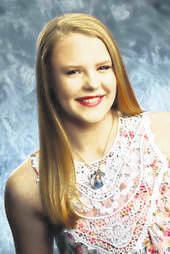 Mackenzie Lee Long, the daughter of Larry and Angie Long of Bidwell, is 15 years old, A sophomore at Gallia Academy High School. She is a member of Addison Freewill Baptist Church. Her activities include, GAHS Student Council, helping with her church and youth group, volunteering for Gallipolis in Lights, and Camp Courage. Her hobbies are babysitting, art and helping with animals. She enjoys spending time with her family, hunting and fishing with her dad and taking care of her two dogs, Bella and Sadie. Darian Litchfield’s parents are Amanda Brumfield and Nick Litchfield. She attends River Valley High School. Darian is in Leo Club and Phoenix Show Choir. She attends church at Country Side Baptist and spends her free time camping, swimming, or reading a book. Gabrielle Gibson is the daughter of Tonya and Derek Gibson, attends River Valley High School, and will be in the eleventh grade with intent of doing the CCP at University of Rio Grande in their program this fall. Her activities include, FFA, Beta Club, two year varsity cheerleader, 2018 River Valley High School football manager, and two year varsity track and field runner. Gabrielle plans to attend the University of Rio Grande and major in nursing with the intent to become a nurse practitioner. Grace Cremeans is the daughter of Lori and Matt Cremeans. 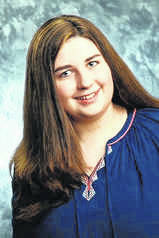 She attends the Ohio Valley Christian School and will be in the seventh grade. Grace plays basketbal. She is in the band, has participated in the mission lifeline pack and sent food to Haiti. She was in the art show and speech meet. She enjoys 4-H and showing projects at the fair. She is in the For his Glory 4-H club. She has been on the honor roll and a member of Beta Club. Other achievements include first place science project, best decorated cookie display, first place in 4-H laundry and cooking projects, first place and best of show in Art show at the French Art Colony and first place 4-H group pie contest. She enjoys helping others and has raised money with a lemonade stand for toys at the Nationwide Children’s Hospital, donated books to the Nationwide Children’s Hospital and volunteers at the French Art Colony. Hannah Kate Ehman is the daughter of Amanda and John Ehman. 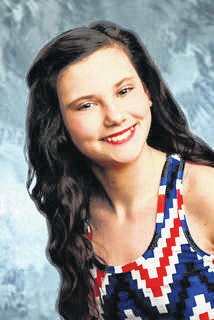 She attends Gallia Academy Middle School and will be in the seventh grade. Hannah is in the 4-H club Country Roads. She participates in the Gallipolis in Lights 5K. She has been awarded with an accelerated reading achievement and musical award. Hannah loves playing and watching softball, swimming, and being outdoors. Allison Hess is the daughter of Becky Hess. 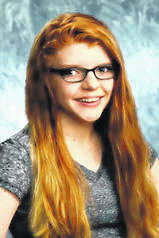 She attends River Valley Middle School and will be in the eigth grade. She is a member of the Beta Club, FCA leaders, band, basketball, and quiz bowl. Her achievements include Basketball Raider Award, History Day District and state qualifier, FCA award, honor roll, candidate for president of the State of Ohio Beta Club. Allison loves to volunteer at the local nursing homes, participating in food school drives and her church nursery. Emma Kate Sanders is the daughter of Chrissie Sanders. She attends South Gallia Middle School and will be in the sixth grade. She is in Beta Club, basketball, and participates in Reading Buddies. She enjoys being in 4-H and showing projects at the fair. Her favorite food is fried chicken. Her favorite color is teal blue. Jayla Preston is the daughter of Andrea Lee. 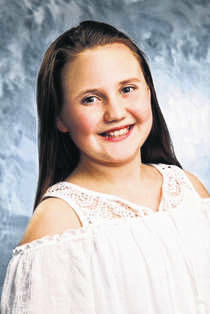 She attends Gallia Academy Middle School and will be in the sixth grade. She is in 4-H where she shows her pig at the fair. She loves GC Starz competitive cheer. Her favorite food is pasta. 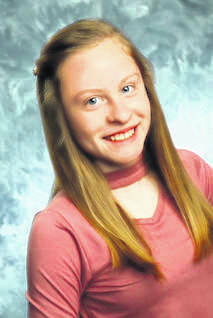 Hannah Pope is the daughter of Christina Pope. She attends River Valley Middle School and will be in the sixth grade. She is in the school’s Beta club and is on the honor roll. Her favorite food is mashed potatoes. Her favorite color is turquoise.